It was ________ that Caps fans taunted Tim Thomas with President Obama heads? Tony went for the word "apt" because he said before the Caps fans got in Thomas' head because they didn't score on him before and that game they got 3 goals. Not very sincere or logical, but whatever. 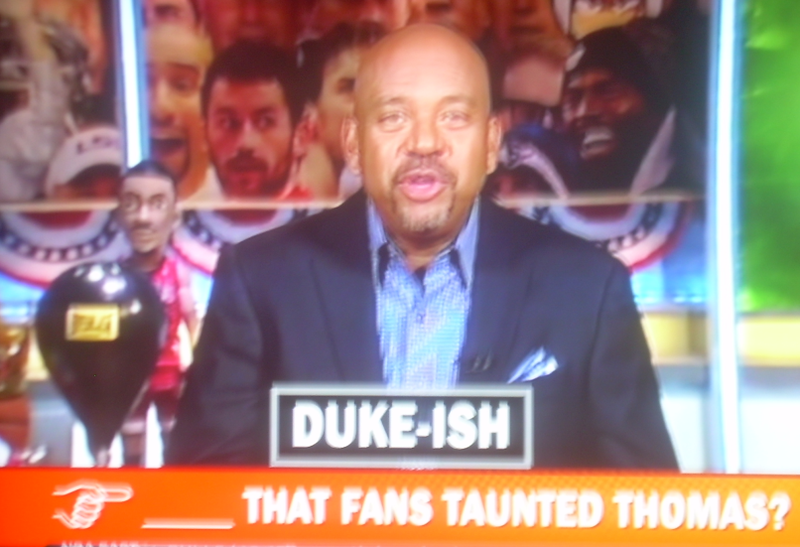 Wilbon went straight to Duke which made me laugh. 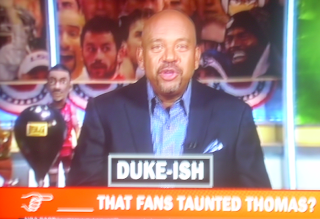 He said that Caps fans were like the Cameron Crazies which makes me as a basketball fan want to puke.